For those clients who don’t want to download an App - we’ve created a fully functional Client Portal website just for them! The Portal can be accessed from any browser including any mobile browser. You can create a custom portal link for your business and even adjust the color scheme to match your business colors too! Communicating with your clients is simple and easy in the Client Portal! Customers can view all messages and pictures and can respond directly from their conversation feed. Messages can also be sent via text message or email! Clients can update all of their information from anywhere using the Client Portal. You can also set required fields which prevents customers from submitting service order requests until they complete that information. Pet information can also be updated directly through the Portal! 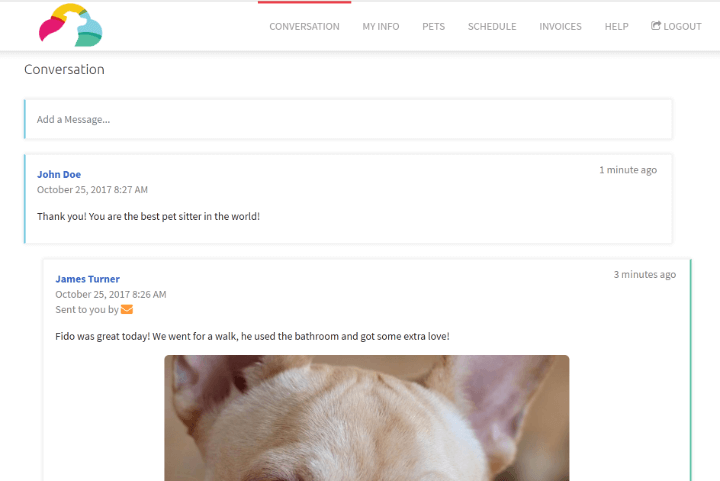 You can customize your fields in Time To Pet to capture as much (or as little) information about your clients and their pets as you require. 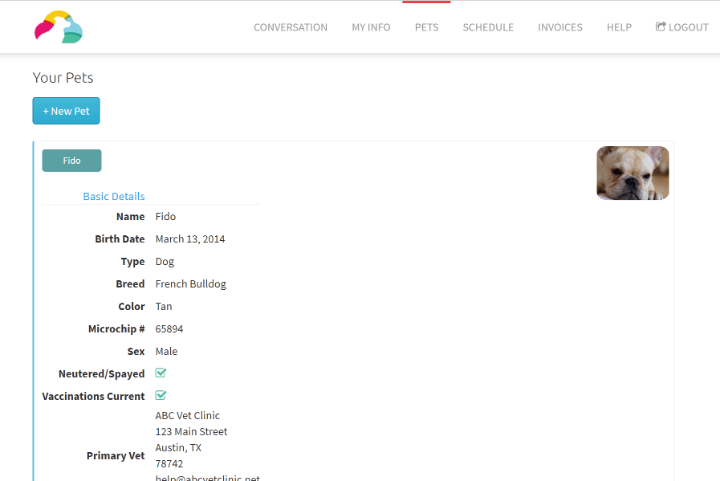 Clients can also select their vet for each pet as well! 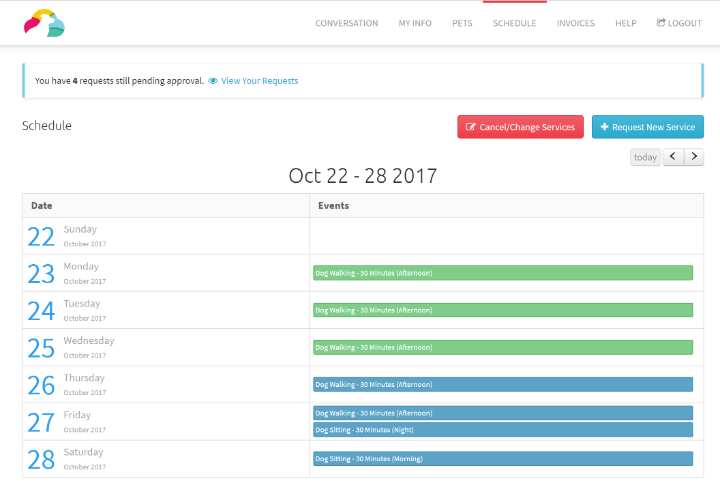 Your clients can view all of their scheduled and pending events and submit new service order requests from the Client Portal. Need to make a change? Not a problem! 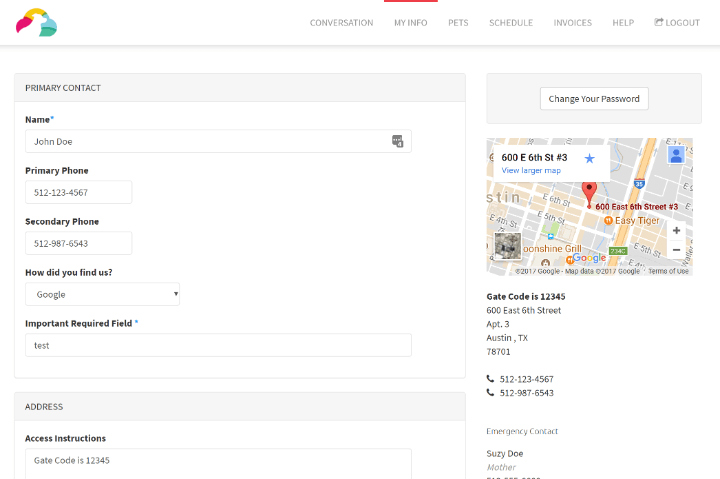 Clients can submit change or cancellation requests from the Portal as well! 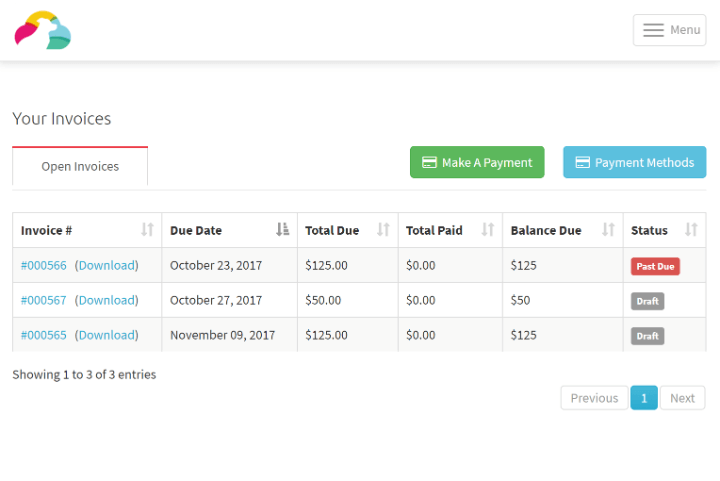 Clients can view their invoices, add a tip and make a payment right from the Portal. They can pay by credit/debit, ACH or can make a PayPal payment here. They can manage their payment methods right from the Invoices section of the Portal too!